Experience the bounty of the Hudson Valley! Enjoy an autumn day out at the beautiful Dutchess County Fairgrounds in Rhinebeck from September 9th - 10th. Wine, New York State (NYS) distilled spirits, craft brews & gourmet specialty foods highlight the Hudson Valley Wine & Food Festival. Taste hundreds of wines from all over the state, sample craft beers and ciders, plus sample a wide variety of distilled spirits. Shop for gourmet foods from more than 100 creative specialty food vendors. Discover fine crafts and home goods. Feast from unique selections available in the Food Truck Corral. Expand your culinary skills and wine knowledge at cooking demonstrations and wine seminars. Bring your friends! Vendors selling home improvement & accessories, gift items, jewelry, and cooking tools round out the fun. Save on admission. 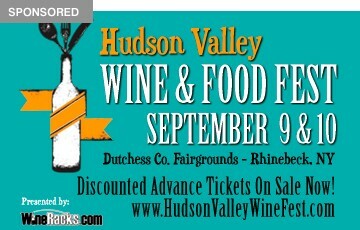 Buy discount tickets now online at www.HudsonValleyWineFest.com. The main focus is celebrating all things wine. Learn about wines produced in the different reigns of the state. Ask questions directly of those agricultural producers who nurture the grapes and create the many types of wines for you to serve. Sample as many wines as you’d like! It’s easy to purchase wines from all NYS wineries. The staff will bring you purchases to the gate for you to collect after your tasting day is done. Shipping is also easy, right from the premises to your door. Head to the Beer Pavilion to taste and buy fine NYS craft brews and cider! Try the ever-growing selection of distilled spirits. 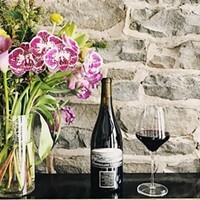 Educate your mind, nose and palate at the free demonstrations and talks from celebrity chefs and experts such as Hudson Valley Wine Goddess, Debbie Gioquindo. Stock your pantry with baked goods, cheese, dressing, olive oil, salsa, and pickles. Satisfy your hunger at the Gourmet Food Truck Corral while catching live music, too. Why not make a weekend of it? Find out about great travel packages from Amtrak’s New York by Rail! Leave from Penn Station and stay at the Beekman Arms Delamater Inn, the oldest continuously operating inn in America. There’s wine, food and fun for everyone! 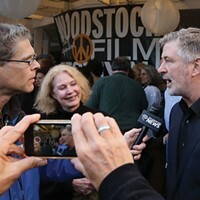 The Hudson Valley Wine and Food Festival is a real sign of autumn. You know harvest season is coming soon. Apples are on the menu and pumpkins are next. The foliage will shortly turn bright colors. Purchase your tickets in advance online and be sure to attend this lifestyle event. Come sip the day away!